You all know how much I love my vintage-esque jewellery, so when the lovely Georgia emailed me to tell me all about Cheap Frills I was immediately on board as the pieces are (cue Cheryl Cole accent) right up my street! 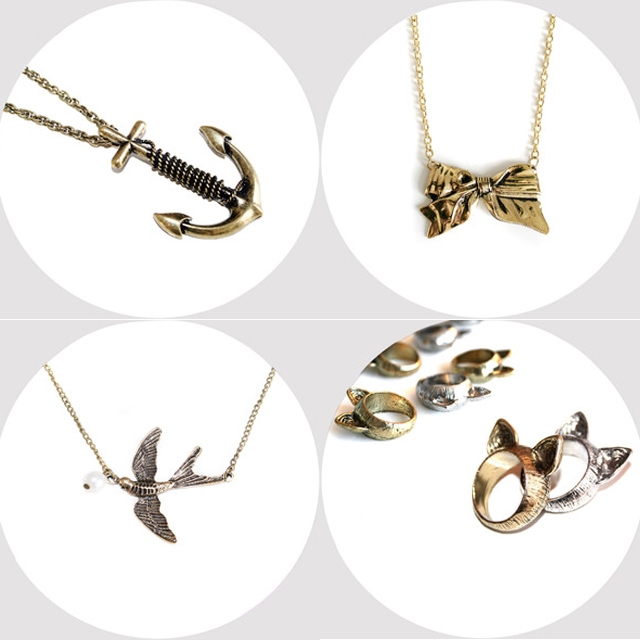 Cheap Frills is a Brighton based jewellery company selling gorgeous vintage inspired designs from pretty little rings to statement pendants, and every piece is hand made. I’ve chosen a few of my favourite things from the Cheap Frills store to show you. I could have chosen a lot more, believe me! These are just the things that stood out to me the most and I could see myself wearing. How amazingly cute are the cat ear rings? They are by far my favourite thing in the store. You all know how obsessed I am with rings and these would definitely fit nicely in my (unnecessarily large) ring collection. I think I like the vintage brass and silver versions personally. I tend to go through phases of liking gold or silver, and although I love both I seem to be sterring more towards silver at the minute. Do any of you do that or is it just me?! Cheap Frills also have a Facebook page and a Twitter, so be sure to follow for regular updates, offers and discount codes! Let me know if you buy anything. I’d love to know what you choose! That’s all from me tonight. Hope you’ve all had a lovely weekend! "SITTING PRETTY STYLES: PRINTED LEGGINGS"
That cat ear ring is so cute! Their stuff is gorgeous, right up my street 🙂 Will be paying them a visit next Friday when I have some pennies to spare! I love the cat rings too, might try the vintage brass one for a change.